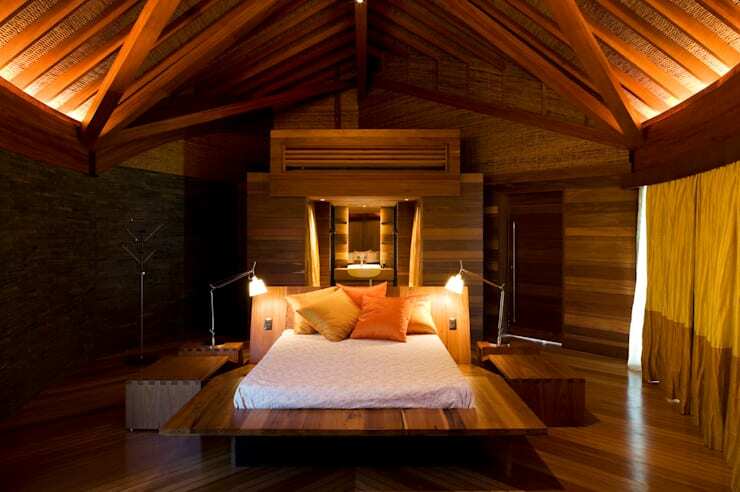 The bedroom is a sanctuary, a private space for intimacy, comfort, relaxation and most importantly sleep. There’s nothing as important as the perfect bed to get the best nights rest, and this Ideabook has 10 practical tips to solve your décor problems. So let’s get started with the ideas to make your bed as comfortable and attractive as possible, albeit unconventional too. 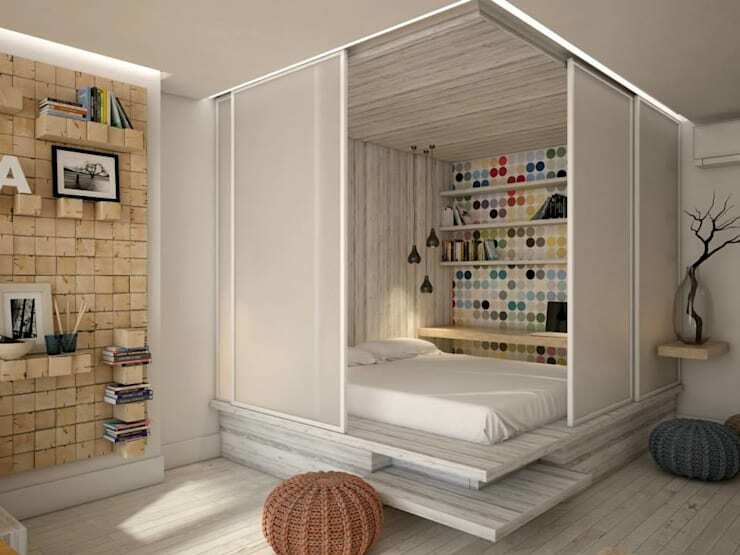 This is a great way to create a private space in a studio apartment. The addition of sliding doors adds a tranquil setting for an isolated sleeping chamber. The sliding doors are a fun and unique way to have a peaceful sleep, don’t you think? This bedroom is comfortable, stylish and elegant. The padded headboard adds a comfortable appealing effect, while the neutral use of colour is simply charming too. 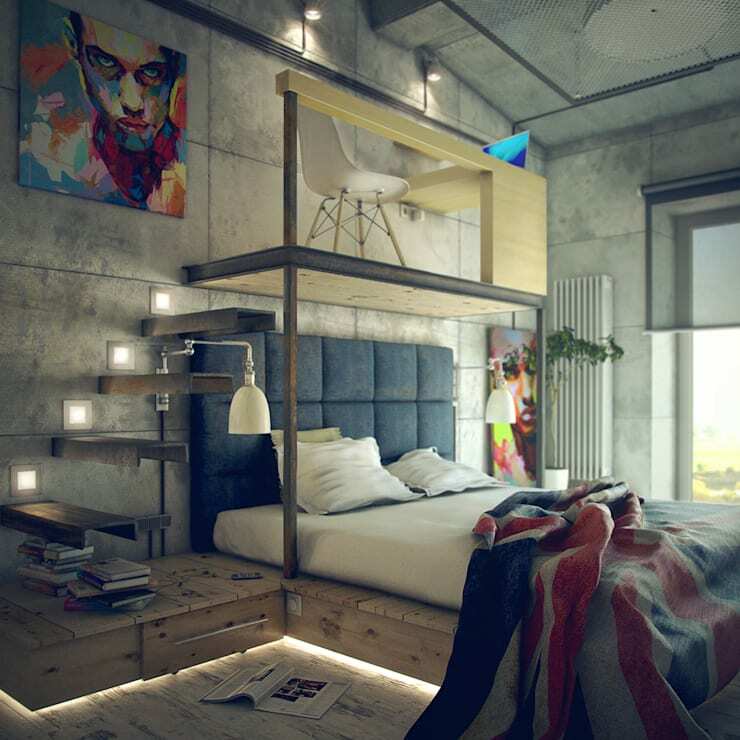 A suspended bed might just be the floating effect that you’ve been thinking about to soothe you off to sleep. It’s fun and youthful, while also having an island-like effect on the imagination. If wood and faux fur are the textures you need to get a great rest, then this rustic inspired décor is a must for your bedroom. 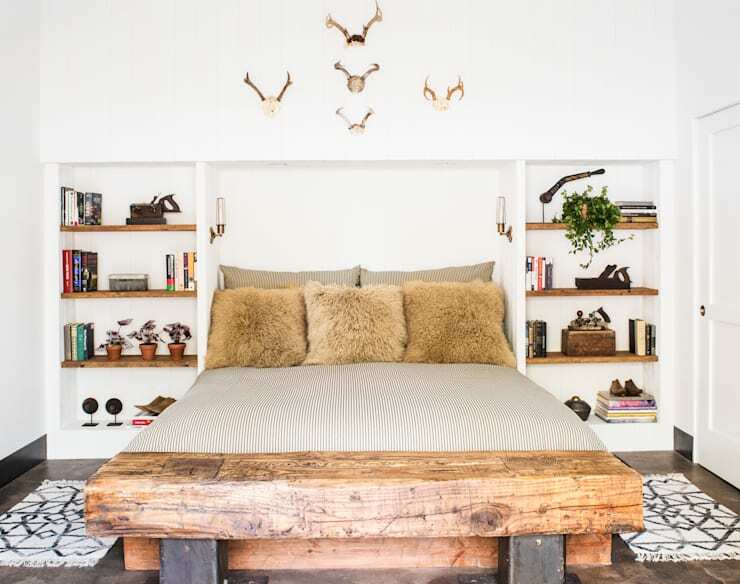 The interior designers worked to recreate a romantic cabin appearance for those adventure loving homeowners. A bed such as this is perfect in a spacious bedroom! So recreate this magical cabin-like sleeping quarter in your home, and you’ll always think you’re on camp, but with the added benefit of cosiness and warmth to keep you comfortable. 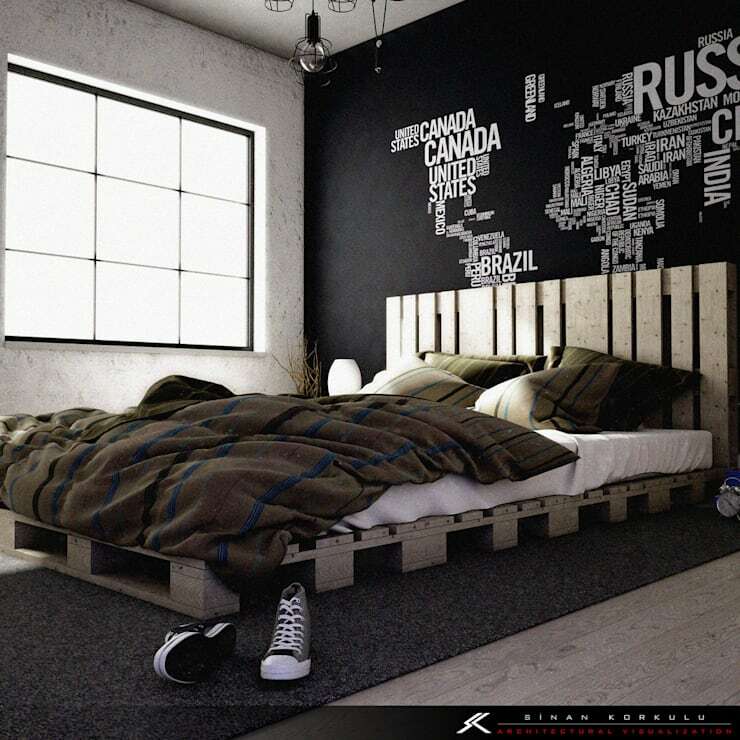 If you consider yourself a nature lover, then repurposing and recycling common items are probably a normal occurrence for you, opt for wooden pallet furniture to make your bedroom attractive and elegant. 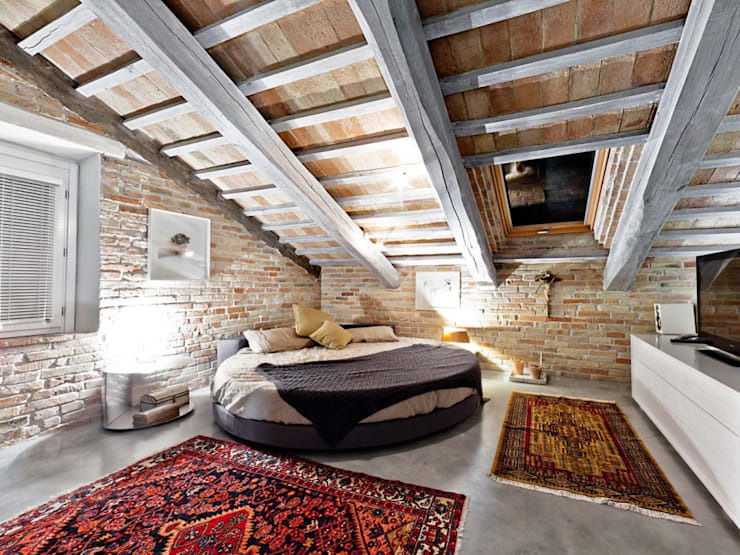 It’s a great feature in a minimalist inspired home and will be a relaxing choice for a dreamy bed. A round bed is often seen in magazines. But that doesn’t mean you cannot recreate this feature in your own bedroom. 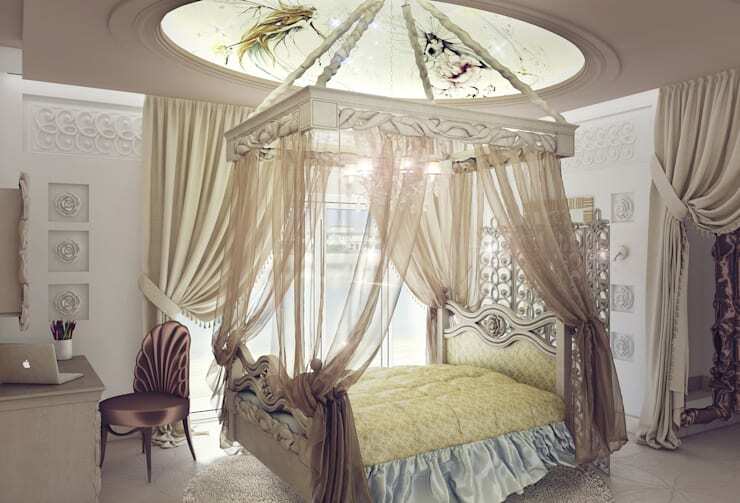 It may take some hunting, but a round bed will add that enchanting and fantasy-loving atmosphere to the bedroom. If your home is really compact, then dual furniture is always a welcome feature for a sophisticated style and excellent use of space. A bed office is an awesome way to begin your working day, from the comfort of your home. Why not catch a nap while you’re at it? A low bed with a padded base in emerald green, now that will definitely add a stunning and contemporary style to a bedroom. And when paired with the marine inspired backwall colour, this bedroom is a great choice for a seaside home. Which bed would you like in your home?